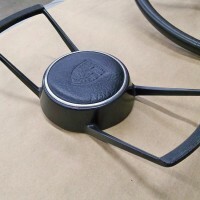 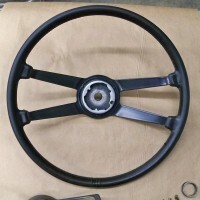 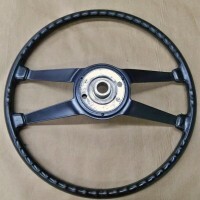 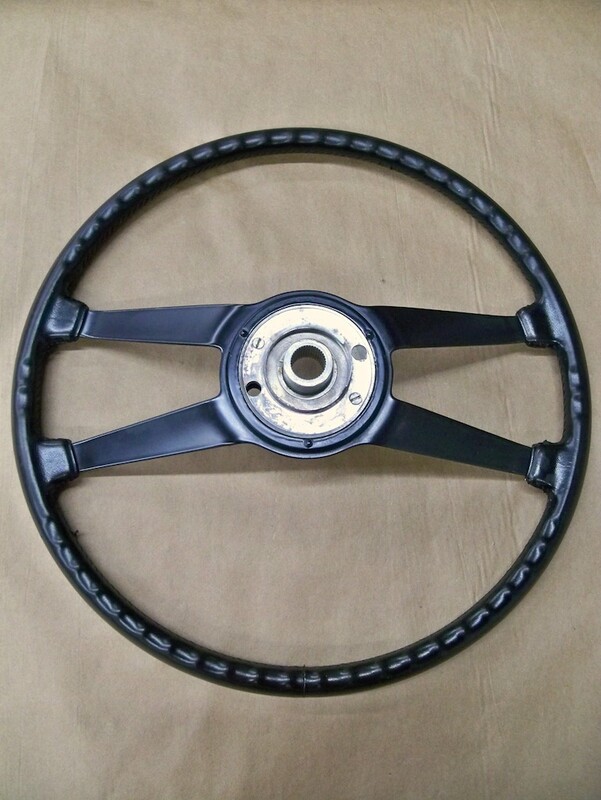 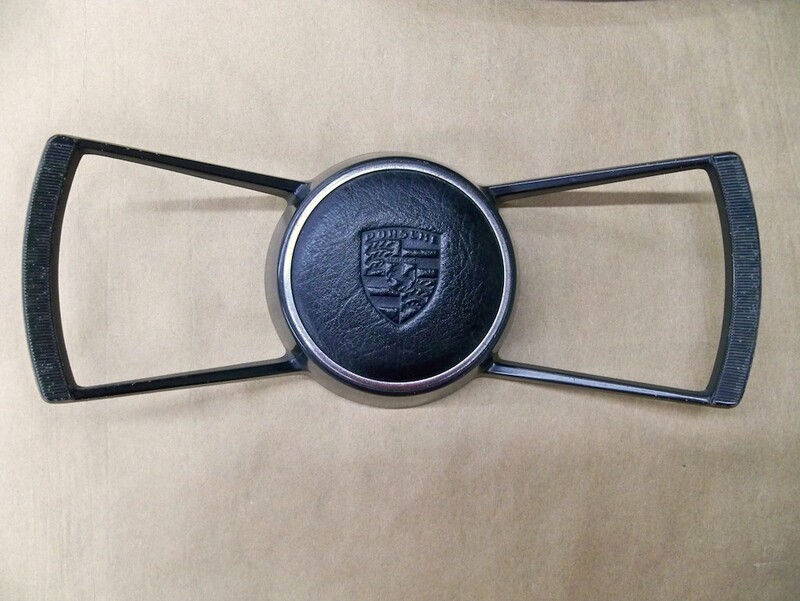 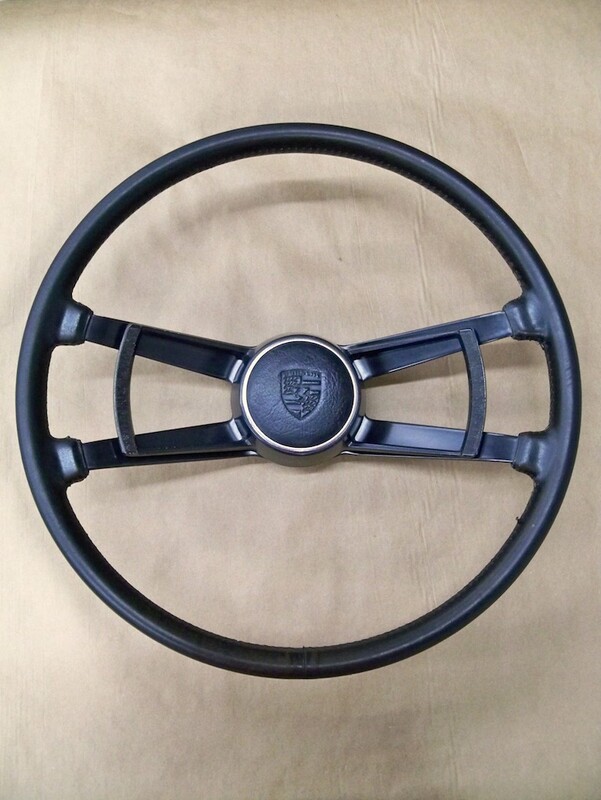 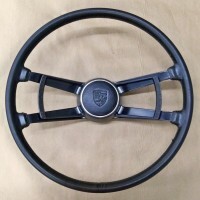 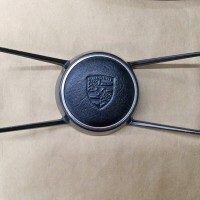 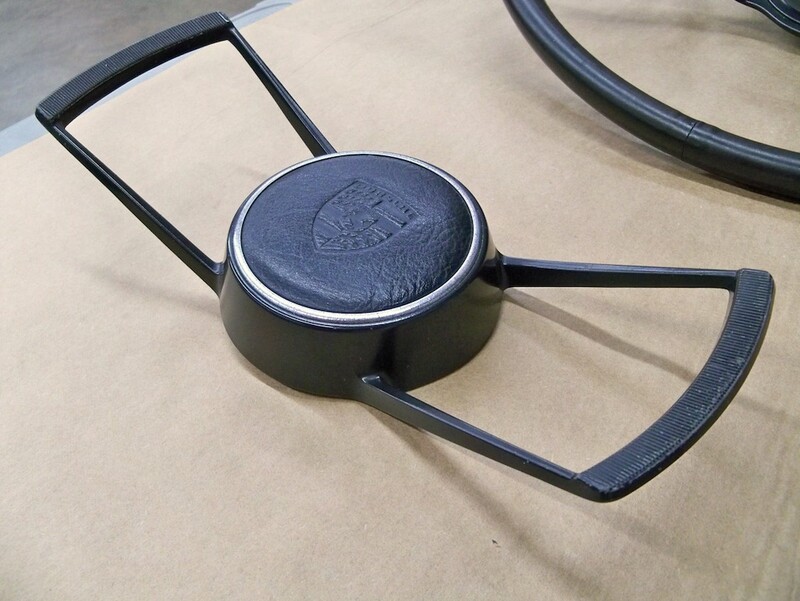 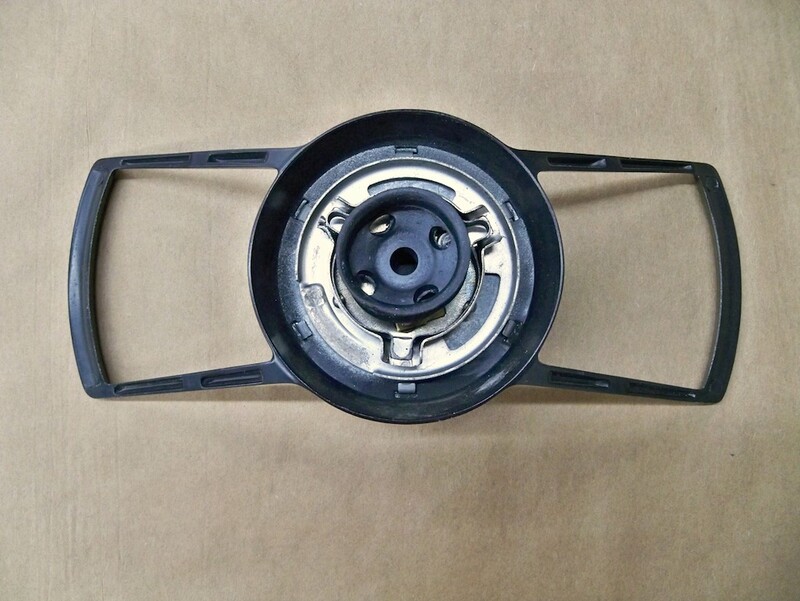 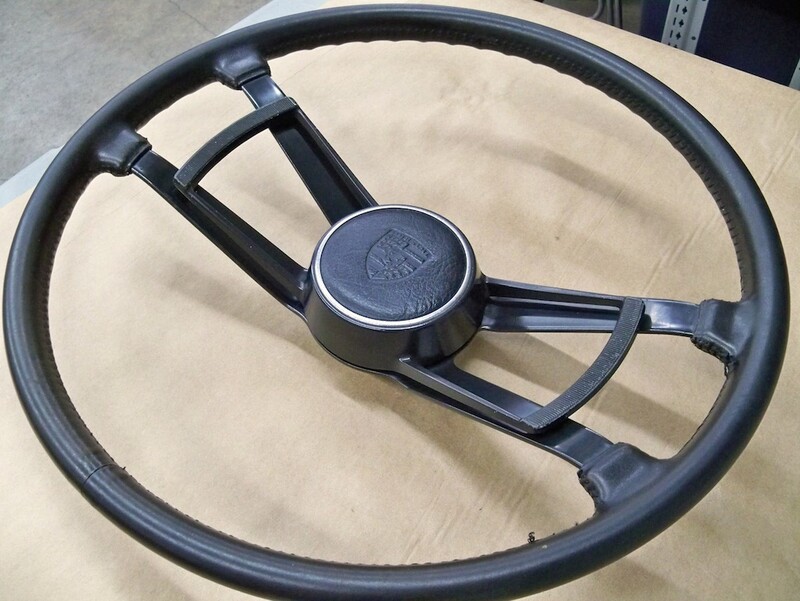 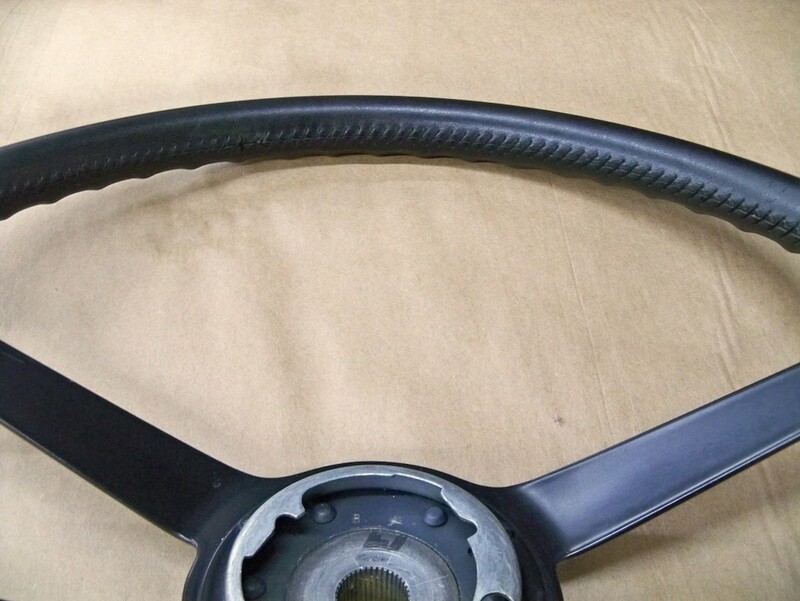 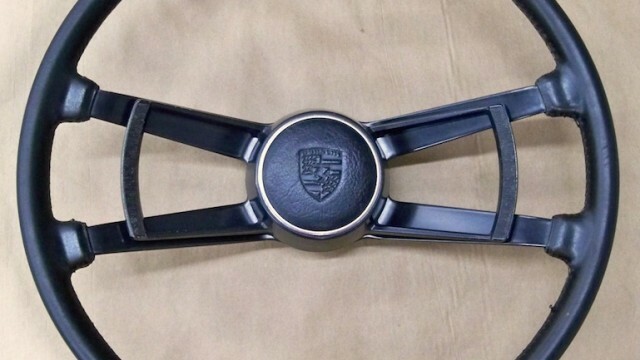 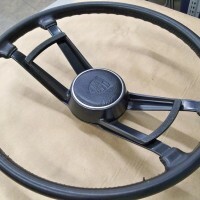 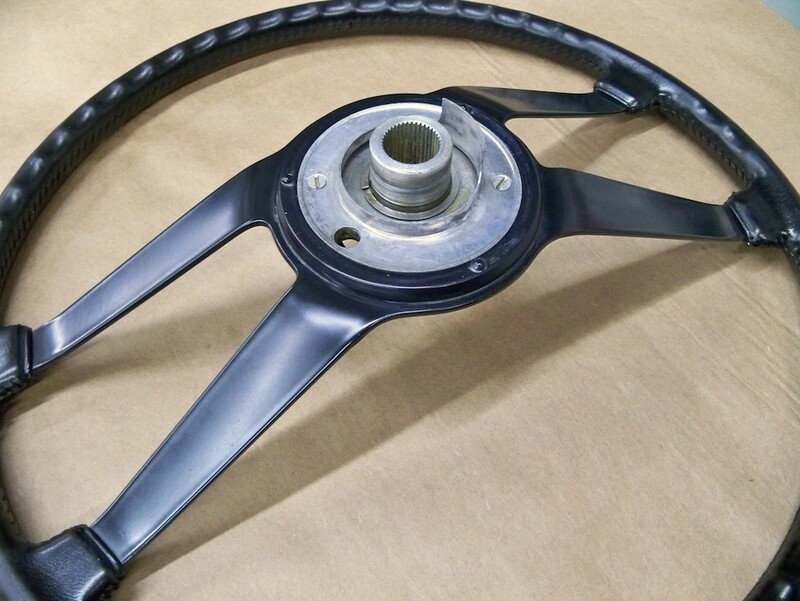 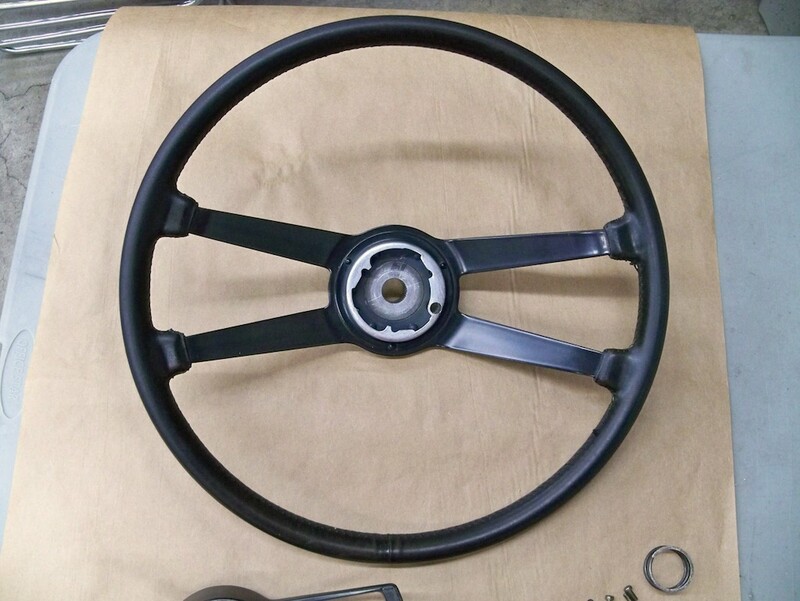 SOLD: Original Leather 420mm 67S Steering Wheel w/ Batwing Horn Button » Specialty Cars Service Center, Inc. 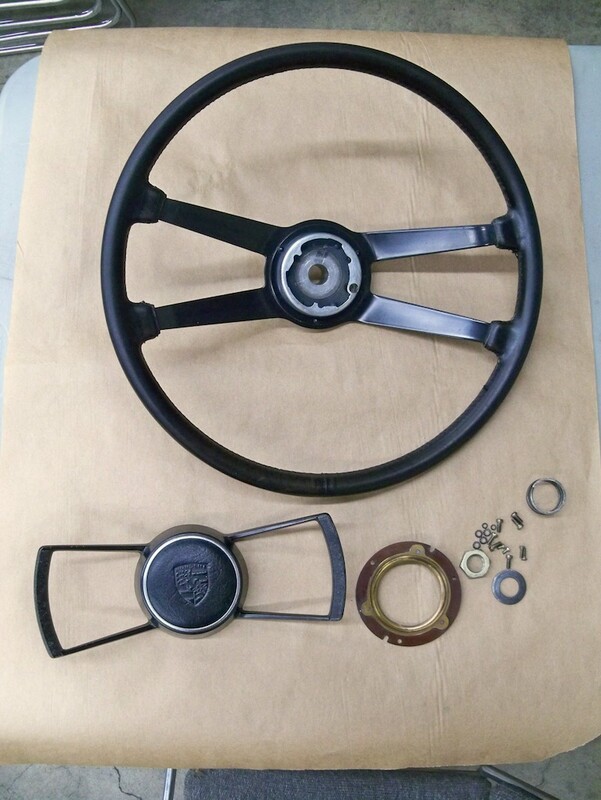 Original leather 420mm steering wheel with batwing horn button in very nice condition. 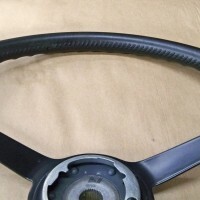 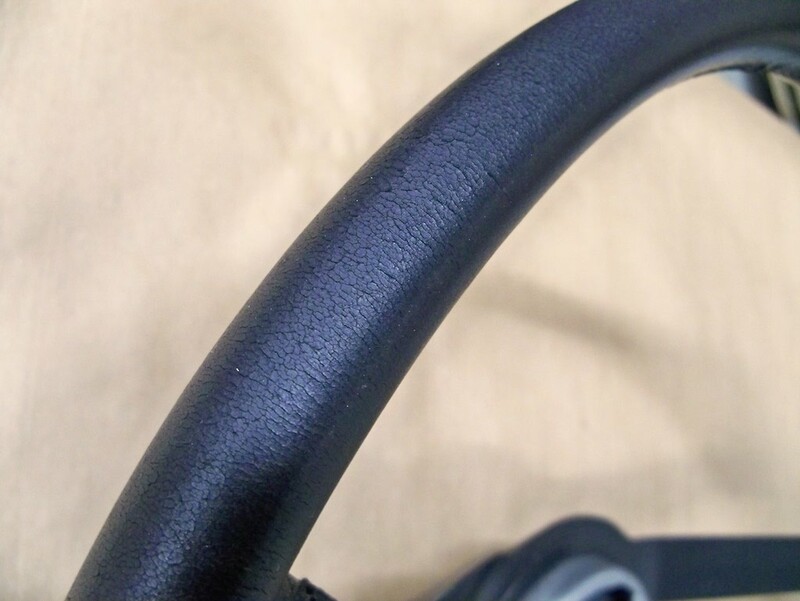 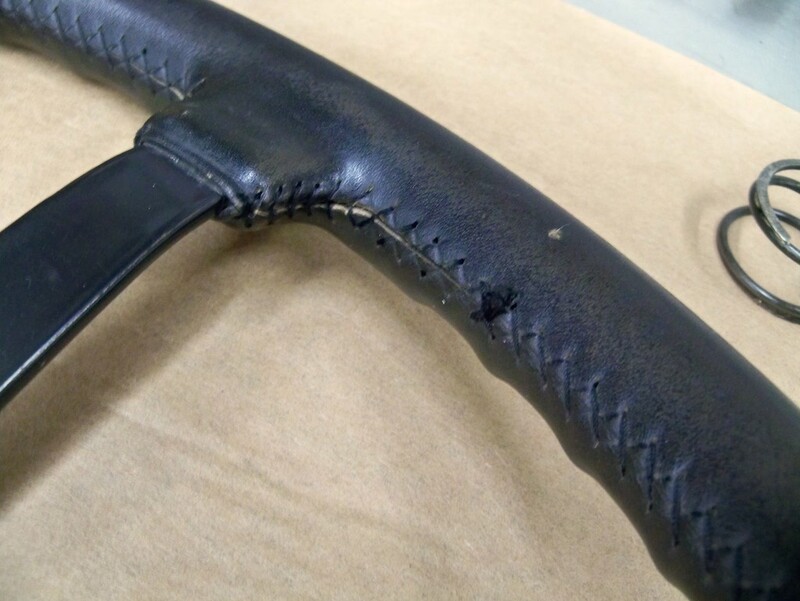 The steering wheel has its original leather covering, though it has been restitched at some point (the stitching is single and not crossed). 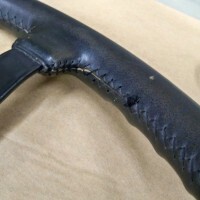 The stitching does have two small areas where it has come undone. 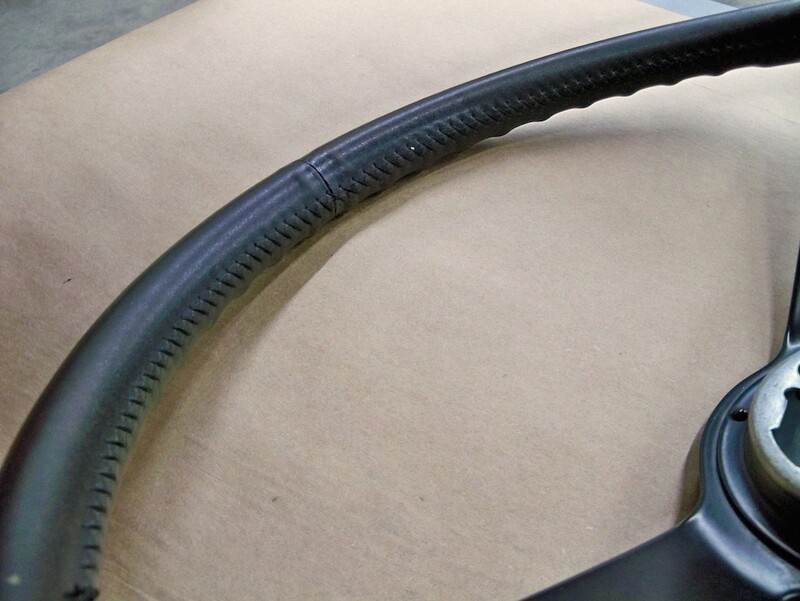 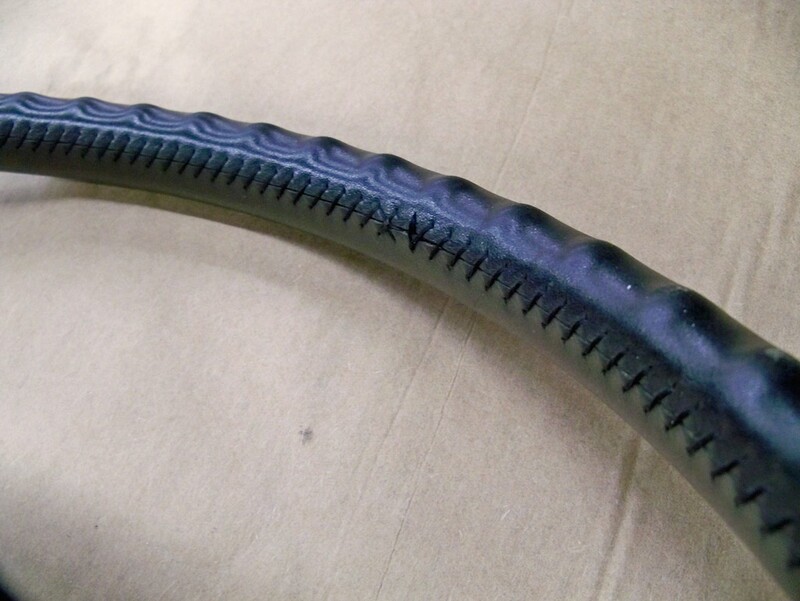 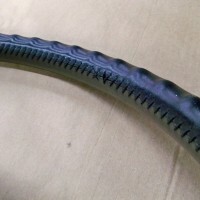 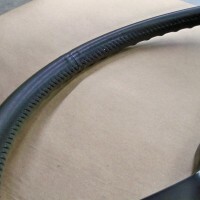 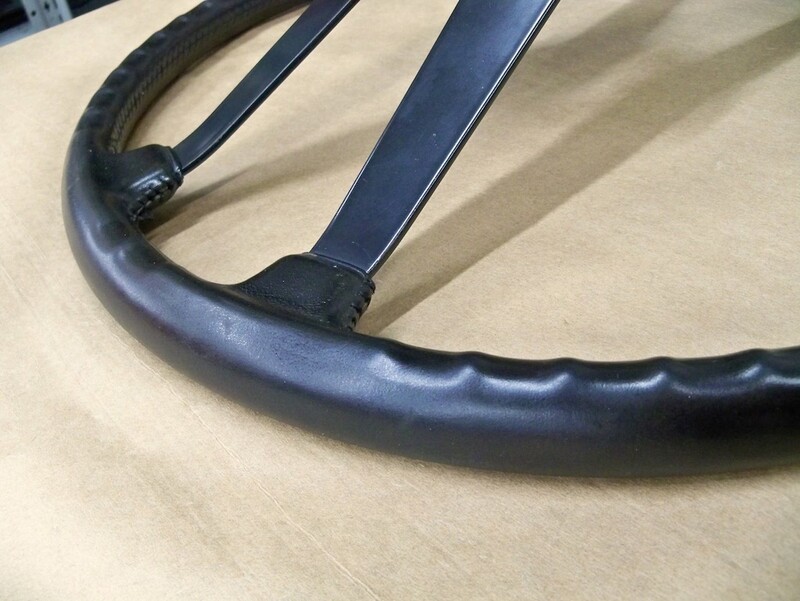 The original leather is in nice shape for its age; it is pliable but has some light cracking in the upper left portion of the wheel (as shown in the photos). 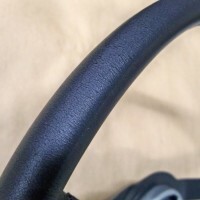 The are a few very minor scuffs as well. 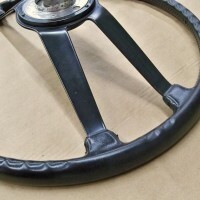 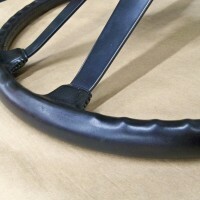 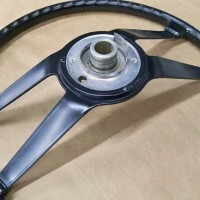 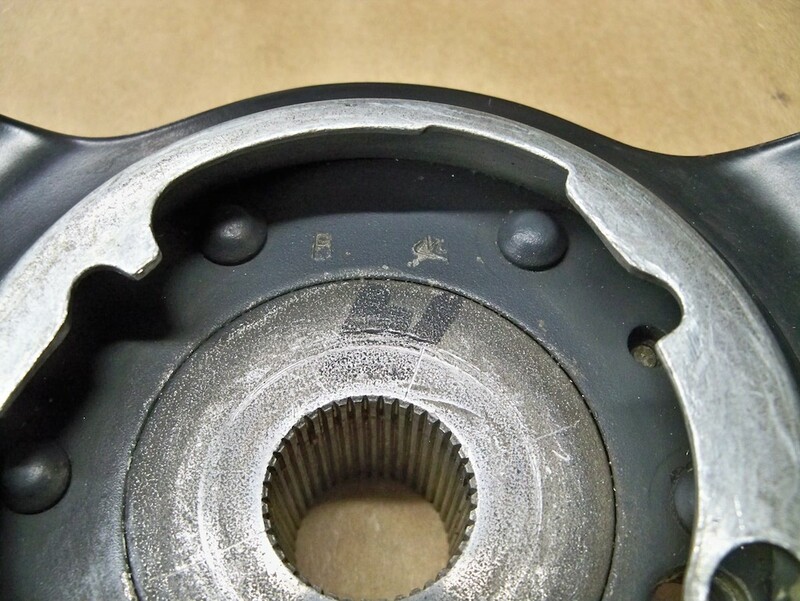 The spokes on the wheel are also in very nice condition with a few small chips in the finish. 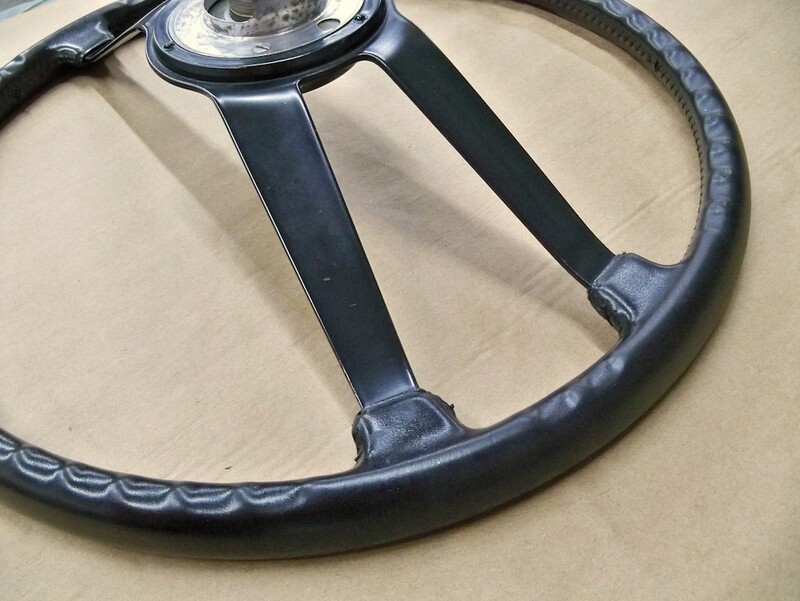 There is no date stamp on the wheel. 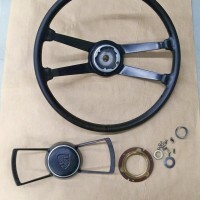 There are a few small pits and paint chips on the wings of the horn button, and the leather is in good shape. 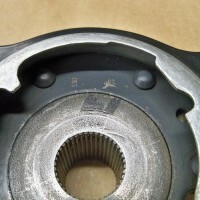 The chrome ring has some wear from age. 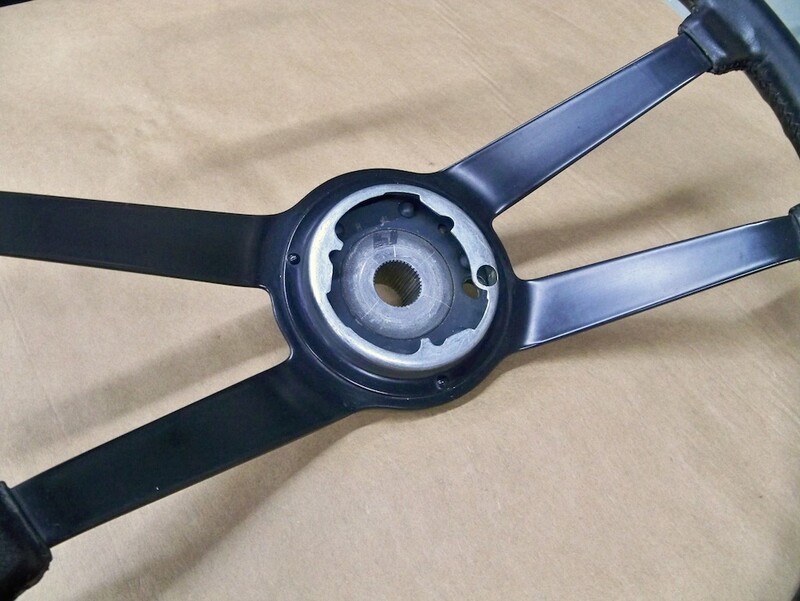 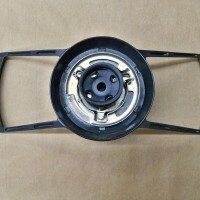 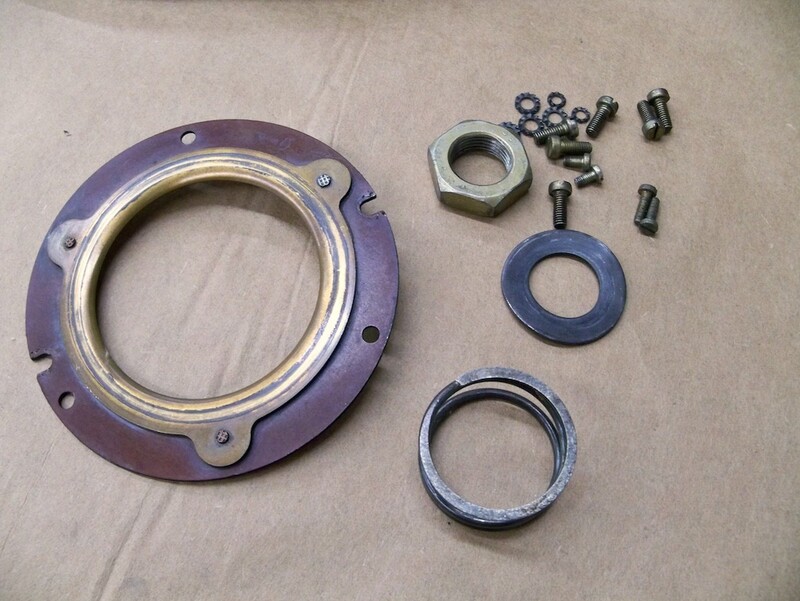 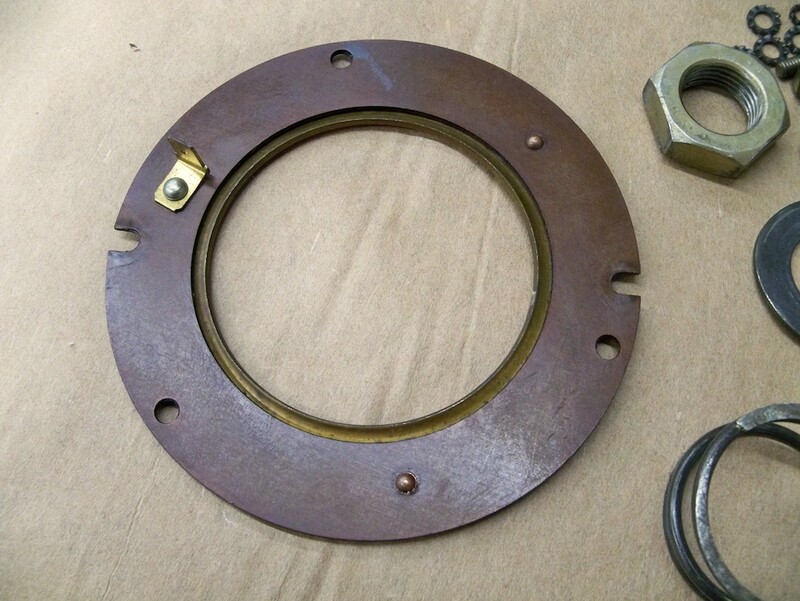 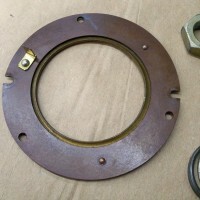 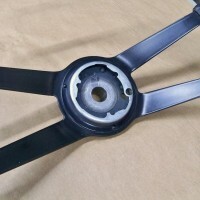 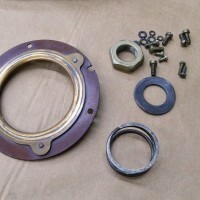 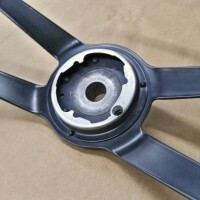 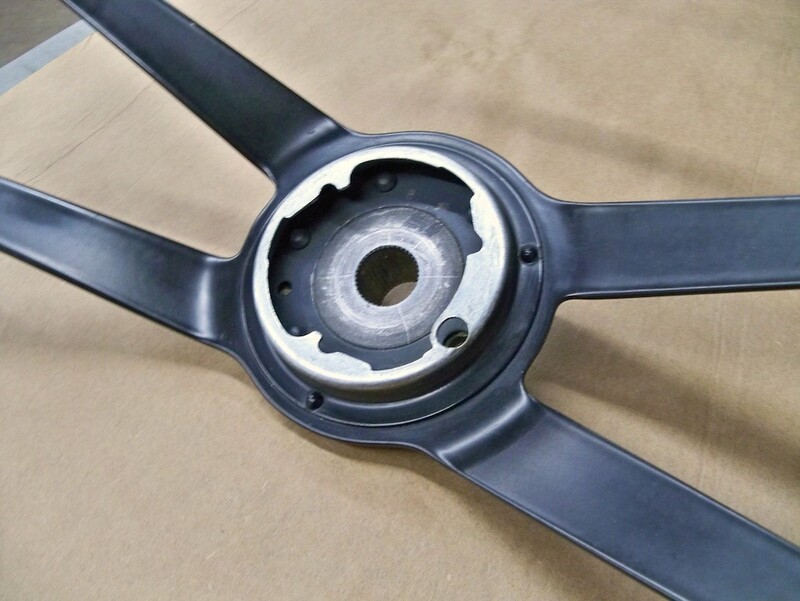 The horn contact ring and associated hardware are included, as pictured.